The RAAF’s F-35 Joint Strike Fighters, closely integrated with the Navy and the Army, will be a game changer for regional stability, says Air Force chief Leo Davies. 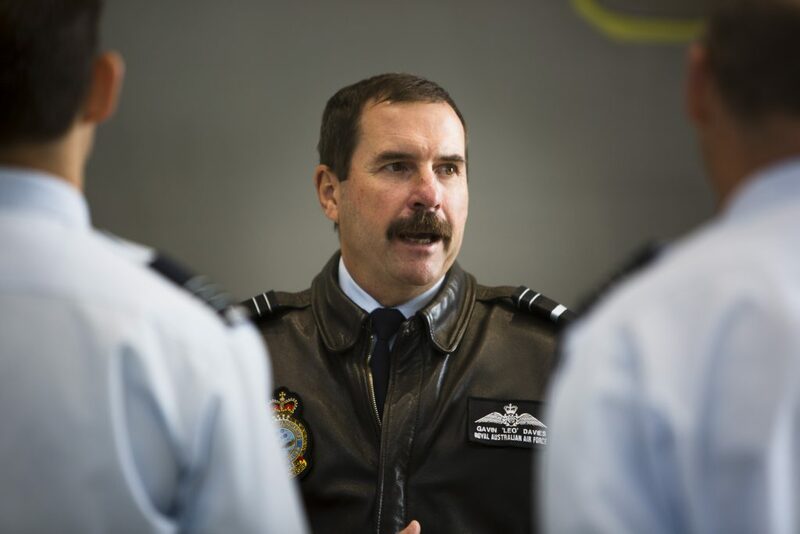 Davies described a vision of the RAAF becoming the first ‘fifth generation’ air force able to work intricately with allies in the Asia-Pacific to help perpetuate a rules based order. ‘Freedom of overflight and navigation, for example, symbolise what our regional partners expect of our vision for the future,’ he said. And he set out the increasing benefits a well-equipped and interoperable RAAF could bring to Australia’s US ally and the major changes in thinking that would require in the RAAF, the Navy and the Army as they geared up for ‘joint warfighting’. Fully integrating the F-35’s capabilities into the ADF would bring tremendous opportunities and complex challenges. All of the RAAF’s combat force would be able to operate closely with US forces. Australia would have the same ‘A’ model of the JSF as the US Air Force and its Poseidon maritime patrol aircraft, Triton unmanned patrol planes, Super Hornet strike aircraft and Growler electronic warfare aircraft would all match those of the US Navy. ‘Our modern Air Force offers the potential to explore how we can operate together in a maritime environment supported by sea and land-based air capabilities,’ Davies said. 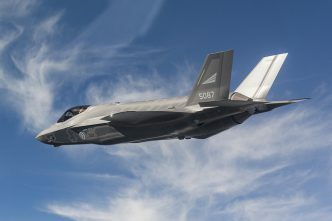 JSF pilots from the RAAF, the US Marine Corps, the US Air Force and the US Navy could draw from common intelligence mission data, threat libraries, target-acceptance and validation, he said. They’d be linked to networked, nationally agnostic command-and-control systems, electronic warfare assets, airborne early warning and control systems and air-to-air refuelling elements from a combined force. ‘They have trained together, they have fought together,’ he said. Software and hardware would combine to make this team one of the most lethal and versatile air combat capabilities available to allied and coalition forces. The ADF would also need to understand how it would function with regional nations which did not possess these advanced capabilities. He said the RAAF should be a strategic technological bridge to Australia’s neighbours. With the insight of a permanent resident, Australia could help the US develop its relationships with nations such as India and Indonesia. 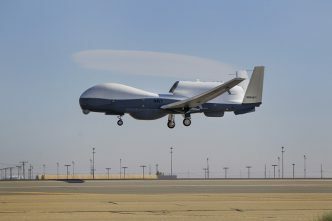 The RAAF’s new Poseidons with their sophisticated, integrated sensors would continue to operate from Malaysian bases on their ‘Gateway’ patrols far up over Asia waters and they’d take allied ‘air rider’ observers with them. ‘We in Australia can see parts of the sky that you, in the US cannot,’ Davies said. Australia and the US could work closely with nations such as Japan and Singapore to develop space and cyber systems. Despite the ‘urgency of geography’, relationships matter. Some relationships, in some locations, more than others. Nowhere is this more obvious than in the space and cyber domains. We in Australia can see parts of the sky that you, in the US cannot. Equally, countries such as Japan and Singapore are defined by geographies which drive their regional choices. We therefore have a confluence of commercial capabilities and geography which, if focused, could be strong assets in a mutual development of space and cyber systems. Space and cyber are critical to the air domain. They will be contested and congested, and we – in the US, Australia and partners – will have to maintain superiority in those areas to prevail. It is our unique relationship with other regional players, relationships which the US may not enjoy, that allows us in Australia to play a special role here. We have, if you will, the insight of a permanent resident. Our relationship with countries like India and Indonesia, to whom you in the US seek greater access, are perhaps a case in point. Both countries are emergent powers, emergent economies, as space and cyber rise to prominence in warfare. A key alliance objective should therefore be for us to harness regional partners in the development of key technologies like space and cyber – to guarantee increased participation in, and shore up the notion of, the rules-based global order, and to defend it with leading edge capabilities. Such a future will take brokering. It will require consideration and trust. But it will be necessary in tilting the balance of regional interests in our favour. And it will shape the future of the air domain. We not only have to pull our weight in the conventional, military, sense. We must also act as ambassadors for the rules-based global order we want our region to foster. Fifth-generation capabilities, born of a values-based alliance, go beyond that. They are a living example of what strong strategic relationships – founded in history and developed with trust over time – can produce. Australia and the US are now in a strong position, as fifth-generation technology partners, to shape a discussion about the alignment between capability and values. This may be pivotal for the ongoing development of a rules-based global order. Brendan Nicholson is defence editor of The Strategist. Images courtesy of Department of Defence.